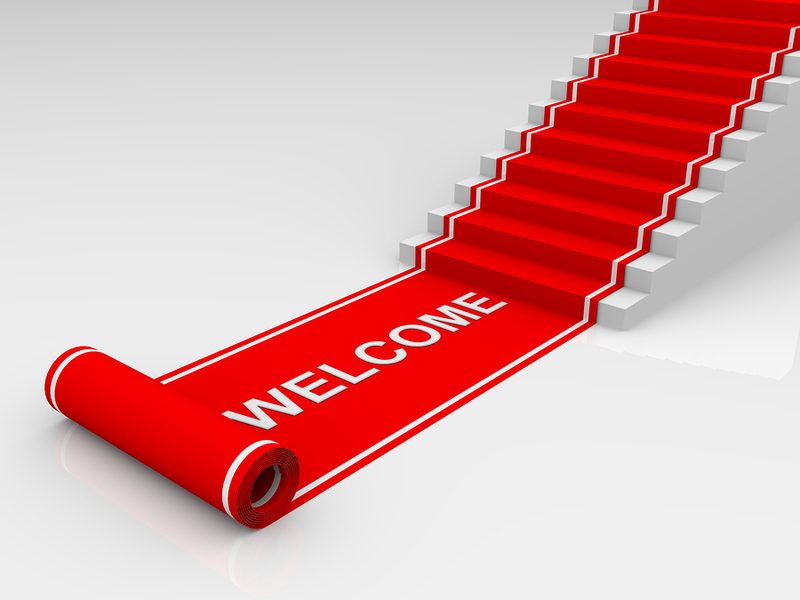 Are you rolling out the welcome mat to your community online and off? If one of your New Year’s resolutions is to strengthen or build your community this year - you’re not alone. Whether you are looking to boost donor retention or keep members engaged, it starts with creating a welcoming experience for all donors or members who engage with your organization’s community - whether that is online or off. Lately I’ve been reading (and writing) a lot about helping members, volunteers and donors feel welcome. So here are some thoughts on how you can make deeper connections with and being more welcoming via email, through your online communities and at in-person events. Should it start with your email outreach? Sounds like a no-brainer right? But given the number of blog posts and articles I see about donor emails without thoughtful thank you's, or stark new member confirmations or renewal reminder notices, it seems a lot of email outreach could use a little more warmth and personality. After all, these emails offer one of the few opportunities to speak directly to individuals and make it personal. So perhaps it’s time to take a fresh look at your donor or member emails - are they welcoming folks to your community? What about your website - is it welcoming? Last year, we shared some thoughts on Building Community on Your Website. In the post, we suggested that one way to build engagement and keep members and supporters coming back to your website, is by creating a sense of community - one that starts a conversation that engages visitors by offering valuable information and ideas. Your online forums: Do you have a moderator responding to questions and comments; starting and keeping conversations going? While this type of online community takes some time and effort to administer it can be a great platform where members can interact with one another as well as your organization. But members or supporters won’t come back if their questions remain unanswered or forum conversations are stale or stagnant. Your blog: As Claire Axelrad (Clairification) suggested in a recent post, “Blogging ... doesn’t just sit still. It flies out the door! And then it brings energy right back in the door to rev up your nonprofit engines.” Claire suggests that for non-profits, blogging helps you “keep your finger on the pulse of what’s important for your constituents. You stop guessing. You stop valuing opinion above knowledge. You stay relevant.” To make your blog more welcoming, be sure you ask questions and enable comments. Another way to help connect with your supporters and members online is by enabling interaction through social sharing. Do you have social media sharing tools or widgets (e.g., Facebook "like" buttons, Twitter widgets, Google+, etc.) on your website? If so, are they easy to find and use? By enabling sharing of information and ideas from your website community to social media, you are keeping the conversations going and broadening your reach. Last, but not least, your website’s look and feel are also important in terms of making your members and supporters feel welcome. This means keeping your design clean and ensuring things (like your blog, forums, event calendar) are easy to find and use. It’s also critical to ensure information is up-to-date, since nothing turns folks off more than stale, outdated content. And of course photos and images are also important to capture attention, tell your story, entertain and delight. Are you welcoming and encouraging two-way communication via social networks? While we’re on the topic of social media sharing - do you know where your supporters, donors or members are? Do you know their social networking hangouts? If your organization is just getting started with social media, perhaps you want to do some research to figure out the key social networks for connecting with your audience and focus on developing a welcoming presence there first before you branch out to other social media. As the social media experts remind us, to effectively connect via social media, you need to understand that each of these channels has its own language. This means connecting is not just about re-purposing content, but it’s also about context. Your message, story or news update should be tailored to suit the social platform. For example, Abby Wright-Parkes ( Optimist Consulting) offers 5 great examples of how to use Twitter for membership in a post on the Optimist Consulting blog. Abby offers examples of how you can use Twitter for “calls to action”, getting members to engage in other channels or involved with lobbying. Do folks feel part of your community at events? When we talk about community these days, we are often thinking about our online community. But for non-profits and membership organizations, meetings and events are some of the best opportunities to network and forge meaningful connections both with and among donors and members. But the truth is, whether it’s a silent auction, black-tie fundraiser, or membership conference - for some it can be a great chance for reconnecting, but many newcomers may feel very lost and disconnected. So it's really important to give some thought to making all members feel welcome at meetings and events, especially new members, supporters or volunteers. When you plan your next community event, try to think of ways to welcome newcomers - with “first-timer orientations” or “meet-n-greet” sessions with the board or membership committee. Consider setting up networking cafes where folks can mingle and chat. Find some novel name tags and incorporate some small group activities into your format to encourage networking. Given the amount of noise and information coming at all of us on so many communications channels, it is important for members and supporters to feel welcome in and connected to your organization’s community, both online and off. Speaking of emailing your community, I recently received an email from "Erik K." with the subject: "Hey... a question" - that was it! It was from an online community (a non-profit), but the email sender nor the subject clued me in. Ordinarily, I would never have opened it, but I moused over the sender and saw that the domain was familiar (that, too, is often a dangerous spammer tactic). Sender names and email subjects are crucial if you intend to inspire confidence in light of current problems with email attacks/virus spamming. Therefore, as Lori pointed out, email outreach is not necessarily a "no brainer." Gayle - thanks for that great example!